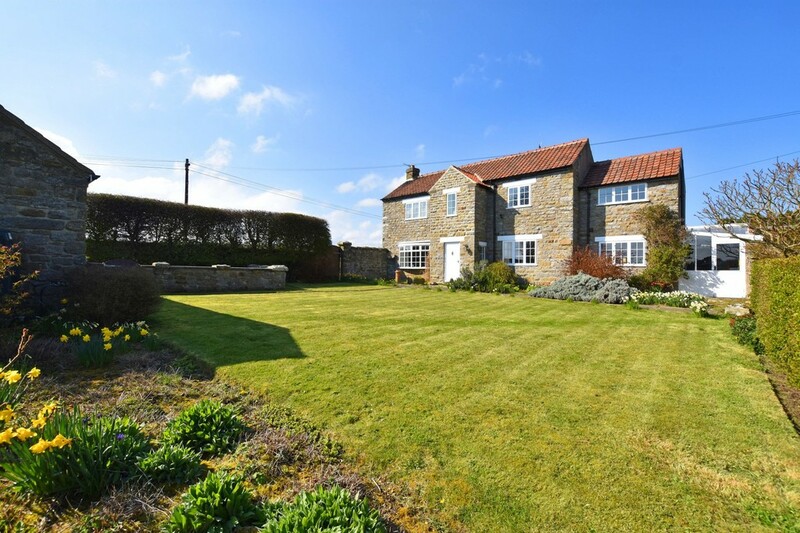 SITUATED IN AN IDYLLIC POSITION WITH FAR REACHING VIEWS ACROSS OPEN COUNTRYSIDE TOWARD OUR BEAUTIFUL COASTLINE, THIS STUNNING THREE BEDROOM STONE PERIOD DETACHED HOUSE IS THE IDEAL COUNTRYSIDE RETREAT. LOCATED IN THE LOVELY NORTH SIDE VILLAGE OF CLOUGHTON WITH SUPERB WALKS, PUBS AND EATERIES CLOSE TO HAND. 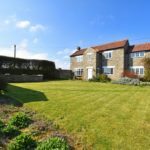 The property when briefly described comprises entrance hall, downstairs cloakroom, front facing lounge, separate dining room with wood burner, kitchen with walk in larder and covered lean-to to the ground floor. On the first floor are three bedrooms, two of which are interconnecting and modern shower room. To the outside of the property are pleasant lawned gardens, boundary walls and hedging, generous parking area and a detached garage. The property has recently had oil fired central heating fitted. MAIN DESCRIPTION The property when briefly described comprises entrance hall, downstairs cloakroom, front facing lounge, separate dining room with wood burner, kitchen with walk in larder and covered lean-to to the ground floor. On the first floor are three bedrooms, two of which are interconnecting and modern shower room. To the outside of the property are pleasant lawned gardens, boundary walls and hedging, generous parking area and a detached garage. The property has recently had oil fired central heating fitted.